Luxury Holidays offers a personal service to tailor make the perfect holiday or trip you desire. Whatever your needs our experts will find the best deal for you, making your trip hassle-free. Open 7 days a week 9am - 9pm, you can be rest assured your holiday is safe in our hands. Our specialists have over 30 years of experience arranging weddings abroad and have first-hand knowledge of all our destinations. Choose from a stunning beach, decorated gazebo overlooking the ocean or beautiful tropical gardens. With us you can choose from a wide variety of all-inclusive holidays to some of the best resorts in the world. 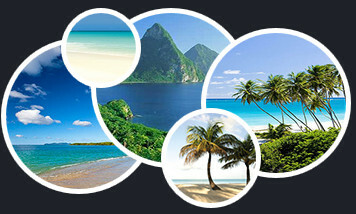 We are experts in finding the best holiday deals in all the top destinations.